Jay | Where is @rusnivek? 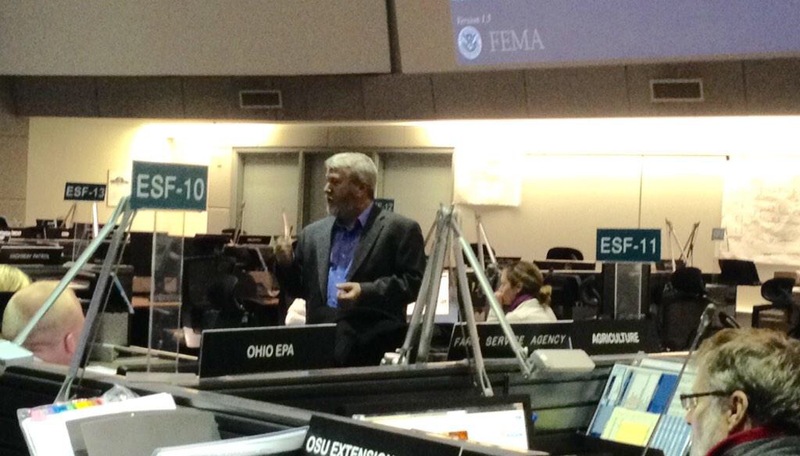 Good to have Ohio Emergency Management Agency (OEMA) Assistant Director Sima Merick and OEMA Deputy Director Russ Decker welcome our PIO/SM class today at the state EOC. After lunch, OEMA Public Information Officer (PIO) Jay Carey brief our attending PIOs here in the state Emergency Operations Center (EOC).